Perhaps the most human issue every person deals with is the question of how to deal with your own mortality. We may all be dying (although at different rates), but it can be said for all of us that how you live affects how you die. In this episode of The Brain Warrior’s Way Podcast, Dr. Daniel Amen and Tana Amen discuss how your belief system can help you when it becomes your time to go. 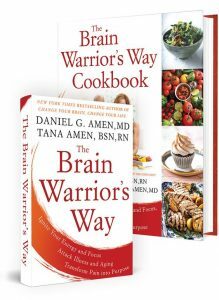 Dr Daniel Amen:	The Brain Warrior's Way Podcast is brought to you by Amen Clinics, where we've transformed lives for three decades using Brain SPECT imaging to better target treatment and natural ways to heal the brain. For more information visit, amenclinics.com. Stay tune for a special code for a discount to Amen clinics for a full evaluation, as well as, any of our supplements at brainmdhealth.com. Welcome back, so we are going to pick up where we left off on our last podcast. You said something really interesting about men facing their mortality in their 40s. But, I wanted to touch on that again 'cause you actually ... When you said it it sort of struck a cord with me, and in fact it reminded me of something someone just wrote to me on Facebook. She was asking me how I dealt with my cancer treatments because she was just diagnosed with cancer, and she wanted to know what I did to deal with it so well. I haven't answered her yet because the truth is ... She wanted to know how I dealt with it, and the truth is I didn't deal with it well. I didn't deal with it well at all. I was only 23 years old, and I didn't even have a terminal cancer but because of ... I think all of the chaos I had sort of grown up in, and I didn't have a stable ... I didn't have really that solid foundation, I didn't deal with it well. So, when I heard it had metastasized and everything I had planned in my life sort of came to a screeching halt, and rather than one surgery and one radiation treatment, which is what it was supposed to be ... Diseases don't read textbooks apparently, it didn't turn out that way. So, I went into this very deep depression, and I mean like really bad depression, couldn't get out of bed. And everything just started to sort of unravel, and no one sort of prepared me for the onslaught of medical issues that would come along with that simple diagnoses that I thought was ... When they told me, "Oh, this is one of the better cancers to have if you're gonna have cancer." Whatever that means, I took them at their word. Dr Daniel Amen:	Well, and part of the reason you got depressed is they didn't replace your thyroid. Tana Amen:	But, they didn't tell me that. 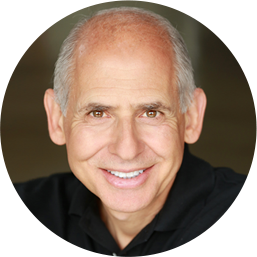 Dr Daniel Amen:	So, it's poor medical care. Tana Amen:	So ... But, we always talk about the four circles. So, for me there was a physical that was the biological component, there was clearly a psychological component, there was very much a social component, and there was very, very much a spiritual component. So, all of that really sort of just crashed and just came broken, shattered, and I was down just down for the count. So, my mom drug me out of bed one day, and we were walking through town, and she was doing some shopping and there was some store; a little tiny bookstore was having a sidewalk sale on books. There was some crazy ... I was so desperate to feel better and it was one of the few days I'd gotten out of bed. There was this book about depression and I don't know why I picked it up but it was when ... I don't know how old Prozac was at the time, it was fairly like people were just starting to really talk about it. Anyways, it mentioned Prozac and so I ran to the doctor and I'm like, "You've got to do something, people are like raving about this drug I guess to make them feel better. I can't take this anymore, if I were suicidal I would've killed myself by now. But, I can't do that so I just keep praying that I will die." So, never ask me any questions about my health, never did anything, just put me on Prozac. He's like, "Okay." And wrote me a prescription for Prozac, and it was the worst thing they could have ever done. So, I felt better within just a very short time, I felt better, but I didn't feel anything I just felt numb. So, it was weird feeling I can't sort of explain it. Yeah, I didn't want to die anymore, but I also didn't feel much of anything I don't know if that makes sense. Dr Daniel Amen:	When you became a little bit more impulsive. Dr Daniel Amen:	I've seen it dis-inhibit people. Tana Amen:	Yeah. So, for that six to eight months I found myself just sort of doing things that I wouldn't normally do, saying things I wouldn't normally say. Even just being mean to someone and I was like, "That's not me, I wouldn't normally do that. I'm not ..." Just sort of ... Just icky, I just wasn't me, I could tell that I was doing it but I didn't know what to do about it. I remember going to the doctor and saying, "This isn't right, like I need to probably go off of this, I need to do something to feel better but I can't do this." And they're like, "Oh, it's 'cause you're not taking enough." Dr Daniel Amen:	So, they doubled your dose. Tana Amen:	They doubled the dose. So, I didn't that for about another month and then I'm like, "Okay, I can't do this anymore." So, I took myself off of it. All of this to say back to our last podcast when you were talking about men facing their mortality. What really happened was a big part of what happened during that whole process when you're 23, I thought I had life by the tail, everything was going my way, I was in college, I was getting straight As, I wanted to go to medical school and then I get this diagnosis of thyroid cancer, which isn't supposed to be that bad. So, I was trying to go to the air force 'cause I thought I could get medical school paid for, and they're like, "No, we can't take you." And that was devastating, and then it was just like one thing after another just sort of got shot down. I realized, I'm like, "This cancer keeps coming back." Like, I ... That was sort of me facing my mortality. It occurred to me that it's cancer, it actually is cancer. 'cause first when they told me I was like, "It's not really that big of a deal." Tana Amen:	But this was so much worse, it was so much worse. Tana Amen:	A street fight last for a couple minutes, and yes, the effects last a long time, but you can learn to fight if you want to. This took me a lot to learn how to fight back. Dr Daniel Amen:	Well, it's one of the reasons you're a brain warrior. Tana Amen:	My mom read that. Dr Daniel Amen:	It's a book about people who have near death experiences and ... Well, what happens in that between state when you're medically dead but then you're brought back. There is incredible similarities between what happens to people, and for whatever reason for me it gave me a sense of peace about death. I mean, I've always been a religious person, a spiritual person, and so it's just part of who I am that I don't think this is it. But, that sort of matters I think for a lot of people. Tana Amen:	Yeah, and I think everybody handles it differently, and probably me saying this is gonna upset some of our listeners, and that's okay 'cause you're gonna handle it your own way. But, I was very young and struggling a lot but when this all happened to me I took myself off the medication and I just knew something had to change. I didn't know what had to change I was really searching, something had to change. So, first thing I did was, "All right, I'm gonna go to church." 'cause I don't know what to do, right, I'm gonna go to church. So, I had this friend who went to church and she was so amazing, and I'm like, "I don't know what's wrong with her, but I need whatever it is she has 'cause she's just different." So, she would took me to church and there was something that was said in church and it struck me. It wasn't even a religious thing but what was said would struck me. He said, "Look, everyone's dying we're just dying at different paces, we're dying at different rates." I don't know why that hit me, but I was like, "I've been feeling sorry for myself because of this big C label that I got. I've been feeling sorry for myself 'cause my life sort fell apart and I'm only 23." Tana Amen:	Babies dying isn't fair. 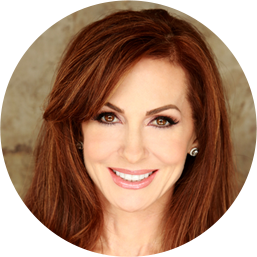 Dr Daniel Amen:	... I was taking care of died; okay, that's not fair. Tana Amen:	No. I used to sit with a ... As a nurse with this little 16 month old in my lap every day charting, and I came in one day and he wasn't there, that's not fair. I can't explain it. Tana Amen:	There is a place with bad food and farm animals, I don't know why stuff happens, but I do know we can make sense of it in our own way, and we can use it for good. But, what happen was when that happened for me I made a decision in that moment. I don't know why this is but I'm going to use it somehow for good, I knew I would write a book, I told myself I was going to do something to use whatever tragedy had happen, and speaking about things ... My own ickiness was hard, but I knew at some point I was gonna try to help people with it. So, facing your mortality is hard but I think if you can turn the pain to purpose it's a really important thing. So, however you do it finding a way to turn pain into purpose. Dr Daniel Amen:	... value? Will this matter in the grand scheme of things? Dr Daniel Amen:	It helps you be more present and that's what we would want for you. Now, clearly there are things that you can do to bring on your early death by not paying attention to your health. But, if you love your life, if you love your wife, or your husband and your mission ... Again, it's the whole reason we created The Brain Warrior's Way because we know it's a war, but like with all warriors we also know everybody's going to die. So, what's my life gonna be between now and them, and [inaudible 00:12:54] living in a way that is purposeful. Tana Amen:	Yeah, and I'll leave you with this story what really sort of might bring this home is you've often told the story in a different context. But, when I was working on the ICU Unit and the one surgeon who smoked came in, and I was eating my healthy lunch I had packed, and he's like, "All of that healthy eating is only gonna add an extra few years to your life." And I ... He was overweight, and he smoked and I'm like, "I'm sorry, have you looked around the unit lately we've got people on dialysis, we've got people on ventilators, we've got people ... We've got these horrible illness, we've got people in comas that we are keeping alive with these artificial methods." I'm like, "The number of years that I live is not the point, the quality of the time that I have left and what I do with it that is the point." Dr Daniel Amen:	Right. So, it's not life span, it's health span. Tana Amen:	It's health span, yes.